Did you become a notary so that you could use your notary commission to develop a business? Are you having trouble sorting out all that you need to learn? If you are feeling overwhelmed and need to know where to start, this article is definitely for you! New notaries are spending far more than I ever could have getting their businesses off the ground and many are disappointed that things aren’t taking off quickly. Some have luck getting started, but then the luck runs out because their skills are lacking. Others are shocked when their profit margins aren’t covering business costs. I hope that this will help show a clearer path for those of you who are struggling with these issues. After you read this and execute the steps recommended, you will know the basics of the notary business, and you’ll have a firm foundation to build on. People are impatient to earn big immediately, but having excellent notary skills, learning how to run a business, and knowing how to build on that to establish a notary signing agent business is critical for your long term success. 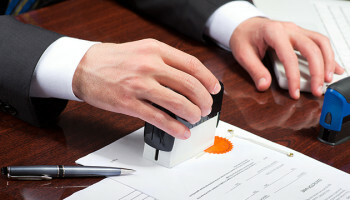 If you take the steps in this article and develop your notary skills first, your professionalism will shine and you won’t be one of the many who are moved to the “Never Use List!” after a first assignment. We are going to use a simple three-part approach. The tasks for getting your business off the ground will be sorted into three headings as you will soon see. Set up a place on your computer or in a tangible notebook with three sections that correspond to the categories below. Later, if you want to add more sections to your notebook, that is easily done. But, for now, let’s keep it simple. You need three sections. When you find interesting information on any of these topics, file it away so you can refer to it again quickly. The more answers that you have at your fingertips for quick reference, the quicker you will be making money. Below are summaries describing what we will cover. After the summaries are detailed steps. Print out this article and set goals on when you will finish each item that’s been outlined. No article can cover all steps you need to take, so please research beyond these tips and take advantage of the resources linked throughout. Part 1 – Learn to be a great notary. Knowing your notary laws backwards and forwards will be about 50% of your success. Many notary signing agent troubles stem from poor notary certificate completion and not paying attention to general notary work details. Notaries who start out as notary signing agents without notary skills make errors and are seldom called back for a second assignment. Start today with a course and get your basic notary training. 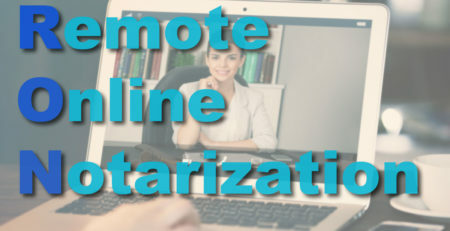 Notary.net’s training is delivered by video and the material can be printed for later reference. It’s interesting and won’t bog you down in pages and pages of printed words. While you are learning to be a notary, set up a mobile notary business. Learn to notarize one document at a time while working with citizens and going into unfamiliar surroundings. You might be wondering if this is necessary. It’s not necessary, but mobile notary work can be very lucrative in some areas; it provides a way to earn while learning at a slower pace how to handle notary tasks. Part 2 – Learn basic business techniques. Here’s where you learn how to stay in business. Anyone can start a business. Staying in business is the key. Learning how to run a business and understanding record keeping is critical. Once you have notary skills and an idea of how to handle a business, you can take your new knowledge and transfer it into a notary signing agent (NSA) business. If you lay your groundwork by doing Parts 1 and 2 first, this will not be nearly as daunting as trying to start up immediately with no notary knowledge or business experience. By learning your notary basics first and putting time into learning how to run a business, you’ll save a ton of money starting up your notary signing agent business. 1. Learn to be a great notary. Tip: When you collect materials relating to this section, file a copy in the Part 1 – Notary section of your files or notebook. That’s the only time I will recommend this, but that’s what your filing system or notebook is for. Collect and organize your material so you can refer to it on the fly. A. Take a notary skills course. Learn where your laws are online, print, and file them in your notebook. A hard paper copy is great for packing along in your briefcase to appointments. Collect a copy of your state’s notary handbook or educational materials from your notary course or your state’s website. Learn best practices recommended for notaries in your state. Be familiar with your state’s notary website. Note and remember what documents you can use to identify clients in your state (e.g., driver license, passport, etc.). Learn the ways you are allowed to identify clients in your state (e.g., personal knowledge, ID documentation, credible witness, if allowed). Be sure you know what goes in your notary journal. I recommend that you keep one even if it isn’t required. If your state doesn’t require that you keep a record book or journal, consider maintaining one and review the suggestions in this article. B. 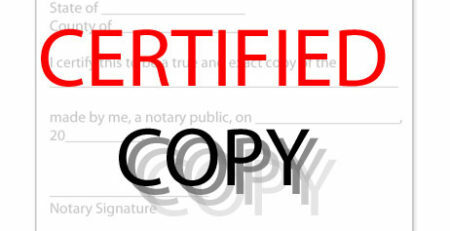 Practice completing notarial certificates. This isn’t just a filler remark! I was a notary for many years in a law office. I got married, had a big family life and took a break from notarizing documents. Years later when I was a notary professional on my own, I learned that law offices are quiet and the atmospheres are controlled. However, when I was on the road, I was in strange surroundings and chaotic homes. I needed to be better and faster at completing certificates. My way of practice was to search for various types of notarized documents online to use to look out while completing a notarial certificate. I would also print a stack of blank notarial certificates to fill out. This seems like a waste of time, but it worked for me. C. Make sure you have the right tools. You must use a seal/stamp that is compliant with your state’s laws. Notary.net is familiar with all state’s notarial seal and stamp laws. If you do not use a stamp maker that is familiar with your laws, you may receive a stamp that does not follow with your state’s requirements. The ink color may be incorrect, the information on the stamp may be incomplete, or the size can be wrong. If you already have your supplies, check to make sure yours have been made accurately. D. Plan & start your mobile notary business. I. Identify mobile notary clients. 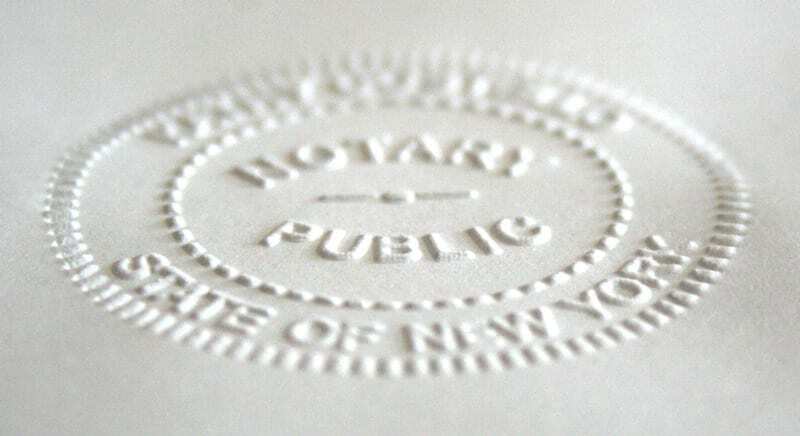 Who in your local area needs a notary public’s services? That’s the question you must first consider. Every region is different. Reading forums and groups for notaries will turn up many types of clients for you to target for general mobile notary work. Keep in mind that your area may be different because of weather, demographics, employers, student populations, government offices, etc. For instance, if you live in New Mexico or Colorado, you may have an opportunity to serve tourists who are there to ski. However, if you live in Florida, for instance, you won’t find many of those types of tourists in your area. II. Figure out how to reach them (marketing strategies). Once you figure out who needs notaries in your area, think about how to reach them. A client who is 75 and in a hospice situation will be reached differently than a client who has a speeding ticket and an affidavit that needs notarizing. Consider clever, low-cost ways to market to different sectors of your community. E. Work to build up a mobile notary business. Do something daily to develop relationships around you. Find ways to network in your community. Never stop using Google! It can lift half of the information you need to know from the internet on topics like marketing! F. Save your mobile notary income to put toward your NSA business. Even if you didn’t plan to have a mobile notary business, consider establishing one. 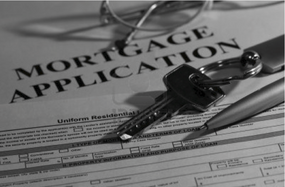 Loan signing and real estate work for notaries can be slow at times. Branching out into other types of notary work will help. Mobile notary work is great practice for becoming a skilled, error-free notary public. Mobile notary assignment income can help with the purchase of expensive items required for notary loan signing and real estate assignments. G. Before the calls start, you need to know how much you will charge. You’ll probably have some downtime to fill before the calls start. Develop your price list and be prepared to quote a fee or counter an offer. Know how much you should charge to go to a various places in your service area. Using a spreadsheet will greatly help you develop this part of your business knowledge. Google spreadsheets is free tool if you do not have MS Office on your computer. H. Plot out all zip codes you will visit. I use Melissa.com to find my zip codes. If you poke around on that site, you’ll soon see that you can extract the zip codes throughout your service area. After you have those, figure out how far each one is from your home or office that you will be using. I. Set a base fee for your own area that you will charge. People start with various amounts but you need to decide the amount that will produce a profit. Everyone uses a different way to price this type of work. You’ll need to figure out how you should charge for your work. Some quote blindly and hope for the best. Many notaries price as high as the market will bear. Other notaries undercut all others in their area. I don’t do any of those. I like to set an hourly rate for mobile notary work. That’s what I will describe below. Let’s say that I aim for $25 per hour for mobile notary work. Usually, $15 – $20 travel fee will cover my base area and keep me right at $25 per hour. Let’s say that my base area is a five mile radius. (It is a little more complicated than that, but let’s use that example.) Any more, and the traffic is terrible. So, if I want to make $25 an hour for the following job within about five miles from me, I need to figure out a few things. This example will cover one notarization at the hospital that’s about five miles away from me. Total time involved: One hour. Keep in mind that I want to make $25.00 per hour. Now, let’s consider out of pocket costs for this mobile notary assignment. What is my actual cost to notarize? I charge $.50 per trip for one notarial act because it costs to purchase my seals, commission, insurance, journal, supplies, etc. I call that overhead. If there are several notarial acts, I will raise this to as high as $5.00. It’s my overhead for that trip. You can lower or raise your dollar per hour fee and charge what you believe you should for all of those variables. Soon, you will know what your fee should be for a trip to the local hospital, a trip to certain doctors’ offices, to the nursing home, and so forth. For certain offices that are routinely slow at getting you in and out, you may charge more, for others you will learn to charge less. My go-to base fee all-inclusive fee is usually $31-$35 for the nearby hospital and similar situations. I have done this long enough to know what my fee should be. Notably, I always quote the fee before I go and take (or make) an itemized invoice to leave with the client. 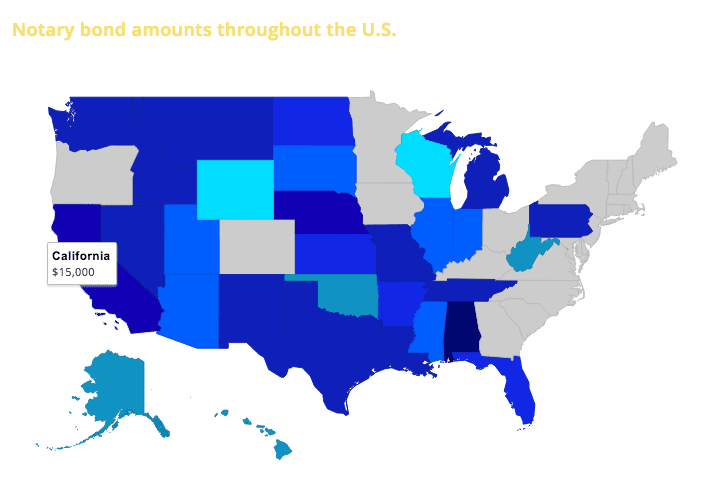 Know if your state allows a travel fee; some do not. Don’t charge too much; it’s wrong and can get you in trouble. On the other hand, do not charge too little for your mobile services. Always think about what you are paying out of pocket to provide this convenience. How much does it cost you to print? How much does it cost you to operate your vehicle? What are your costs of doing business? How about an envelope? Five sheets of paper? Mailing costs (if an account is not provided by the client for you to bill to)? Tedious? Yes! It’s tiresome, but this is how you must look at your business. Being a business owner isn’t easy. In my example above, the one in which I charged $32, had I not added the $7 in overhead charges, I would have not made $25 for that hour. I would have made only $18.00. II. Add the amount you will charge for extra services. II. Decide how much you will charge for every place you will visit. As I demonstrated above, if you use my way for setting fees, you will need to set a base fee for an area. As you saw, my travel baseline fee is $15-$20 for a trip down the street to the hospital plus mileage. I could just state that I charge $6 for the notarial act and $24 – $25 for my trip fee (which is mileage plus convenience fee). I broke it down further for you so that you could see my thinking process: cost of mileage of $5 + amount for time/convenience fee $19 which is $24, in this case. If someone will meet me at the nearby Whataburger, I might only charge $10 because it’s super convenient and close. I charge at least $30 trip fee (mileage plus convenience fee) for another area that’s nearby but full of traffic; and anywhere else has a bit more added to it. Across town and into the next city may run up to $35 or $40 for the trip fee. So, my invoice will state the miles I traveled, the time involved, and the convenience trip fee above that. I always add $1 to parking payments that I have to pay on campus lots or medical facilities because it costs me in time. If I have to pay tolls, I add $1 to those also because of bookkeeping and documenting the payments. When I calculate a fee for an area, I think about time, mileage, parking, and tolls. This is only my way of calculating mobile notary work. There are many other ways. And, believe me, my rates are low comparatively speaking. 2 – Learn basic business techniques. A. Check out free business advice & consulting at SCORE. It’s free! It’s near you! If you don’t do this, you have no one to blame but yourself. The consultants are voluntary business people and can lead you from Point A to Point B so much better than I can. B. Learn about record keeping. 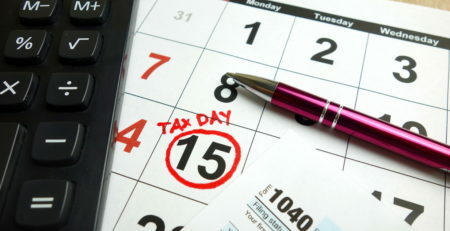 You need to know how to keep records and prepare for your first income tax cycle. The best source is the IRS. Read up on starting a business and how to keep records on IRS.gov. When tax time rolls around, you will have everything you need to hand over to an accountant. C. Prepare to write a simple business plan. You have been collecting knowledge as we go along so that you can prepare to write a business plan. Like I said above, anyone can start a business, but you need a business plan to STAY in business. Try this section of the Small Business Administration for lessons on starting a business and writing a business plan. If you want a quicker way to go at it, try the lean canvas business planning method. 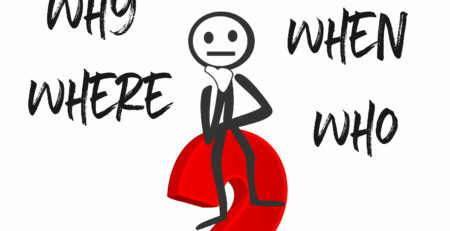 Answer these questions and you’ll have a great start on your business. WHY SHOULD I START THIS BUSINESS? What problems will you solve with this new business? You shouldn’t start a notary business with the only reason as because you want more money. You may not have any business if you don’t have an idea of whether your services are needed, who your competition is, and how many customers there are to serve. Without a business plan, you won’t know if there is any business to be had. HOW AND WHERE WILL YOU DELIVER NOTARY SERVICES? How will you solve your customers’ problems better than they are currently being served? WHAT METHODS OF MARKETING WILL YOU USE? How will you reach your customers? WHAT TYPES OF INCOME STREAMS WILL THERE BE? Research and brainstorm about where you might create niche business and income opportunities. HOW WILL YOU MEASURE YOUR SUCCESS? What are your metrics that will tell you if you are doing well or not? Set goals for your income, new contacts, and marketing efforts. HAVE YOU CONSIDERED ALL OF YOUR COSTS FOR BEING IN BUSINESS? What costs will you incur by providing this service? What equipment is necessary? What are your expenses? WHAT GIVES YOU AN EDGE? (PARTNERSHIP? LONG TIME IN BUSINESS? BRAND RECOGNITION?) What is your unfair advantage over other notaries? D. Learn about gross revenue vs. net profit. Google can help you learn about this one. This is so important to know when you are an independent contractor or small business owner. What you get paid in cash, it looks nice, but you still have to remember that it is a gross payment, not a net payment of profit. Keep in mind that one small notary job just down the street cost me $7. I took in $7+$25.00, but I will have to pay taxes on at least a portion of the total I invoiced. I plan for putting away $25 for taxes and unforeseen business costs for every $100 that I take in. E. Read notary forums and Facebook groups. Take Notes! I learned almost everything I needed to know to start my notary signing agent business from reading through posts 1 – 100,000 on NotaryRotary.com. Today, Facebook groups are popular with notaries, as well. But, the information in the Notary Rotary forum archives is priceless. A studious and silent, stealth mode works for new notaries while joining forums. Many of the great new notaries I talk to tell me that they read the forums and groups for days or weeks before beginning to comment and ask questions. That was also my approach. It’s like walking into a room and getting to know the people there before trying to have a conversation. Read a lot, learn a lot, and ask specific questions like “Where do you get your E&O insurance?” Avoid asking big picture questions like how to get started or “Who wants to be my mentor?” Those types of questions usually elicit responses that may be discouraging. And, if you follow this plan, you’ll soon see the big picture for yourself. Watch for the smart folks, those who show they have been in business for a while. Read what they say. You’ll learn a great deal just doing that. I. Get an idea of clients to target. Who are the bad, good, and ugly? The paragraph above explains how to do that. The upshot of that is to keep a list of company names and note who are slow pay, no pay, etc. Note who will take new notaries and who wants certain criteria met by the notary–for instance, background checks and certifications. II. Marketing techniques and ideas. Read up on how notaries market their businesses. What worked, what didn’t work. Have a listing on Notary Rotary. Keep an eye out for other good places to list your business. One free venue that notaries often overlook is NextDoor.com. If your town has an active neighborhood on NextDoor.com, be sure to list yourself. But, please make sure you use the classified area unless you see that your group is less stringent on listing within the group discussion. III. Identify educational opportunities you may need or want to take. Read what your peers have to say to identify sources that will yield more opportunity. Find out what is required vs. what courses are recommended. Where an individual is teaching a course, ask for credentials. Lately, I have seen a two-year notary promoting a self-developed course that can’t be much more than content that has been cut and pasted. You want to be taught by someone with experience. Some courses will teach you mad marketing skills, but little about notary signing agent work or notary skills. You have to make sure you have all the skills you need and don’t rely on course providers completely. It’s up to you to learn your notary skills, duties, and boundaries. Collect and list the costs of those educational opportunities, materials, and publications. Don’t buy just yet. You need to prioritize your expenditures and get the best bang for your buck. IV. See what equipment other notaries use, love, and hate. You’ll need a fast internet connection, a good reliable computer, and dependable cell phone service. Notary signing agents need a dual tray laser printer. You might have to start with a single tray, all-in-one type, but you really need a dedicated fast printer and not an all-in-one that faxes, scans, and prints. Those are fine if it is all you have but they aren’t the workhorses that dedicated printers and dedicated scanners are. Later, you will need a fast scanner that stands alone. Neither the printer nor the scanner are cheap, but you’ll appreciate the time savings as your work increases. Consider speed, toner costs, and dependability when you buy. HP and Brother are two of the most popular types of printers. Notaries bemoan or brag on their printers all the time. Keep an eye out for suggestions. Scan Snap scanners by Fujitsu are popular. So are Epson and Brother’s fast scanners. I have an Xerox DocuMate scanner that is very fast. I purchased it new-in-box from the Facebook marketplace for $50. It regularly sells for $400+. List the prices on the most popular models. Keep an eye out for deals on equipment daily. If you run into a deal like I did where the item is still in the box, you might want to grab it. V. Capture ideas on how to set fees. Above, I gave you some insights on my way of thinking about fees for mobile notary work. However, for notary signing agent work, you will need more equipment, more insurance, and more education and credentialing. Add those into the equation and you will see you are now spending quite a bit to be in business. You will need to set a fee that will yield a profit. See what others say they are charging and try to figure out how they come up with those amounts. Don’t use undercutting and taking work at a loss to get business. It won’t work out well in the long run. Break down your new expenses that will be required for your notary signing agent work. Figure out what you need to be making per hour when you are working to turn a profit. I am always a fan of the stealth mode of collecting information about fees and clients. If you let on like you really want to know, people will clam up. 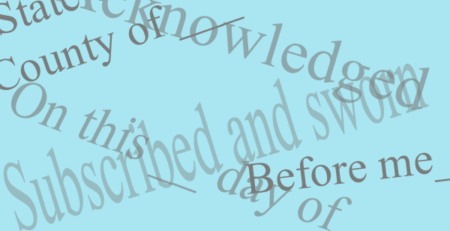 If you ask questions, make sure that you indicate that you have researched before asking! Established notaries don’t always share information freely. As you see, there is much to learn and there were few people to ask when they started; so, established notaries respect when someone new has researched the topic first. 3 – Set up your NSA practice. It’s finally time to crank up your notary signing agent business! If you have collected the basic information that I described above, you are ready to start a successful business! A. So far, your spending has been low if you are using this plan. Invest in the certification training course on this website ($45) and you’ll have a starting certification and a great overview of this business you are about to launch. B. Start advertising if you have not already. By now, you should have a great idea of where to advertise. You should know how much it will cost to advertise. You should start to make a little money when your marketing strategy is underway. C. Prepare a budget so you know what you can spend. Do you have income from your mobile notary business that you can use to make purchases and kick off your marketing plan? How much can you invest in your business purchases? Set an amount that you can afford to invest, even if every dime is lost. I. Use your mobile notary income to help purchase items you need. As mentioned before, invest your income in your business until you have what you need to operate. II. Track your income, expenses, and profit from Day One. Keep careful records of your mileage according to the standards of the IRS. Keep a diary of your efforts to get this business off the ground. That way, you can justify that you have a business, not a hobby. Competition is steep. It might take you awhile to make a profit. Be patient. D. Make a list of items you need to purchase. Keep a list of items or educational needs that you require to run your business properly. As you make money, reinvest it until your business is fully equipped and you are ready to take flight. I hope this article, although quite lengthy, helped you realize that there’s more to being a notary signing agent than flipping pages! Keep learning about your notary skills, how to run a business, marketing your notary services, and how to be the best notary signing agent possible. As you go forward in your quest, I recommend that you keep up your filing system or notebook; add sections to it so that it works for you. Once you understand the business you are entering, you will be confident, and you’ll know that there are sources to consult for help. Again, please realize this isn’t a complete notary signing agent course, and it is not legal advice. It’s just one way to start your business on a solid foundation. Once you have notary skills and business skills to support your notary signing agent business, you will be an amazing notary signing agent! Please post your questions below! We would love to know more about your needs. Great article, thanks for the writeup! I just thought I would mention a couple of other things that have been helpful to me over the years. One thing is really targeting your customer base when it comes to general Notary work. So understanding your demographic and then working in that space is very important. I also think that understanding ones value is extremely important in this business. So when you decide that you are going to have set fees, stick to them! You don’t want make your services seem cheap or diminish them in any way. If you are experienced in a given field then don’t always look to give someone a discount. If makes the basis of your business feel like a wooly bridge! Stick to your prices with the general public as well as title and escrow companies. And the lastly and I think most importantly is to understand how to manage your online reputation and web presence. I understand this is a learning curve for some folks, but creating a tailored website and building having some basic understanding of coding is crucial to the success of business these days. Having a clean and thoughtful landing page for customers to visit it very important in my experience. And don’t forget about the major review sites and also being receptive to customer feedback. We are in a world where people want to see and hear from a business all online…. therefore we should make sure that SEO is not something that gets overlooked. Just my two cents there. I enjoyed the read and hope to hear more!